Twelve people have died after a gunman armed with smoke grenades and a handgun opened fire at a bar and grill in California. The attacker entered Borderline Bar & Grill in Thousand Oaks and started shooting at around 11.20pm on Wednesday. Ventura County sheriff Geoff Dean confirmed 12 people, including one sheriff's sergeant, were killed in the shooting. The gunman was dead by the time police arrived. The officer killed was father and husband Ron Helus - a 29-year veteran of the department - who the sheriff said "died a hero trying to save lives". Sheriff Dean says around 10 other people were shot and wounded. No other information on the victims was immediately known. A man who says he was in the bar told ABC news that he saw a man shoot into the crowd of customers - many of whom said to be students. Police told the Los Angeles Times that at least 30 shots were fired and the paper reported that people had been hit. A spokesman for the Ventura County Sheriff's Department Captain Garo Kuredjian said the shooter had been confined inside the premises for the duration of the attack. It was not immediately clear how he died, but the sheriff said one working theory was that he killed himself. Kuredijan told reporters when officers arrived at the bar to reports of shots being fired, they could hear gunfire. He added that hundreds of people were inside the bar. It was college night and country two-step lessons were being offered Wednesday at the Borderline - a country-and-western bar - according to its website. "It was chaos, people jumping out of windows, people hopping over gates to get out" Steinwender told KABC-TV. US fire department officials reported multiple injuries in the shooting at the bar and dance hall, which is some 40 miles from Los Angeles. 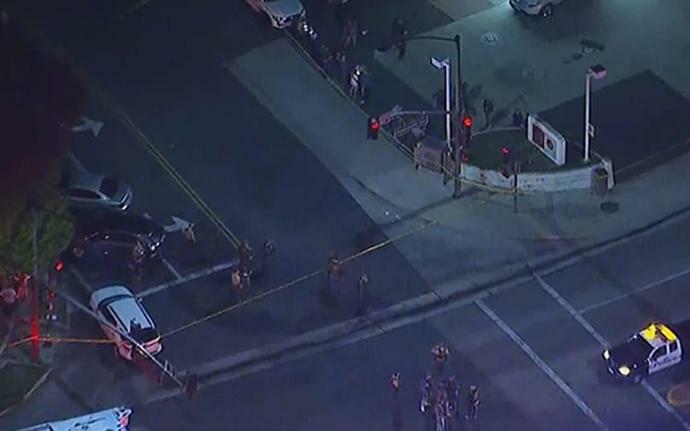 The Ventura County Fire Department said: "Firefighters and first responders are arriving on scene of a report of a shooting at an establishment in Thousand Oaks. Police Department is working to secure scene. Multiple injuries reported." Prism Capital SF CEO Rokelle Sun on the rise in housing prices in California and the state's legislation requiring houses built in 2020 and after to be solar-powered.